The woodland camouflage pattern of the GD120CM models make these watches perfectly suited to today’s street fashion scene. A new multi-angle printing technology was applied to create the case and band patterns of these models, as well as the camouflage patterns of their dials. 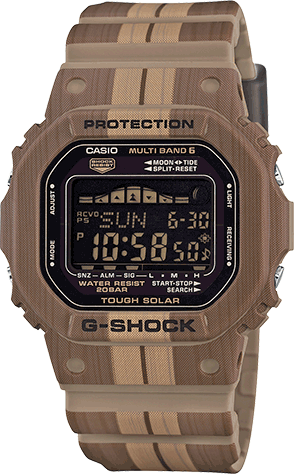 GD120CM-5 is a digital watch with brown and green camouflage pattern.